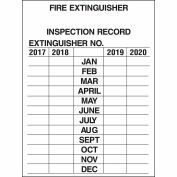 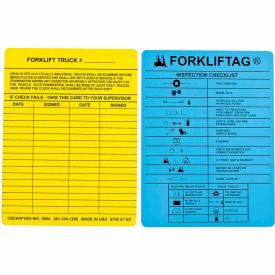 These tag inserts from the ForkliftTag System assist with the requirements of 1910.178 (q) (7) pre-use preventative maintenance and safety inspection for forklift trucks. 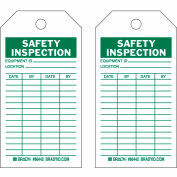 The ForkliftTag insert shows in written and graphic format the daily or pre-shift inspections to be carried out by the first user. 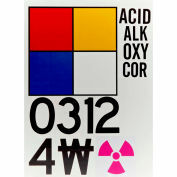 Tag inserts are made of durable, weatherproof plastic. 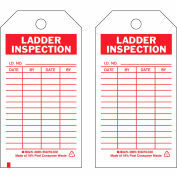 The ForkliftTag Forklift Maintenance System provides a clear inspection trail giving integrity and control of work carried out. 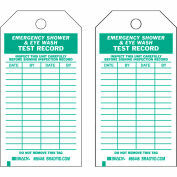 Package includes tag inserts only (tag holders sold separately). 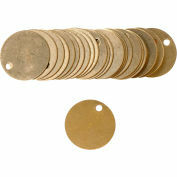 Brady® 23210 Blank Valve Tag, 25/Pkg, Brass, 1-1/2" Dia.